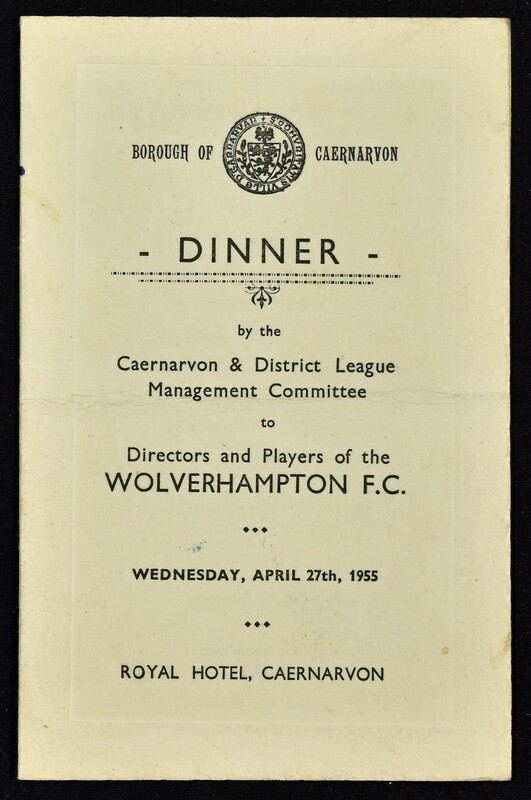 1954/1955 Autographed dinner menu from the evening of 27 April 1955 at Royal Hotel, Caernarvon from the Caernarvon & District League Management for the directors/players of Wolverhampton Wanderers, menu & toast list. 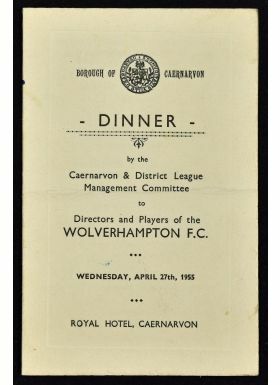 To the reverse autographs of Leslie Smith, Ron Flowers, Eddie Clamp, Tom McDonald, Peter Broadbent and D. A. Gibbs (Arsenal), Bryan Orritt (Birmingham City) the latter two guest players for Bangor City. Fair-Good.